These lists are useful for community plantings and for site re-instatement as improvements take place in the catchment. Thanks to Nick Goldwater and Sel Arbuckle for plant lists. 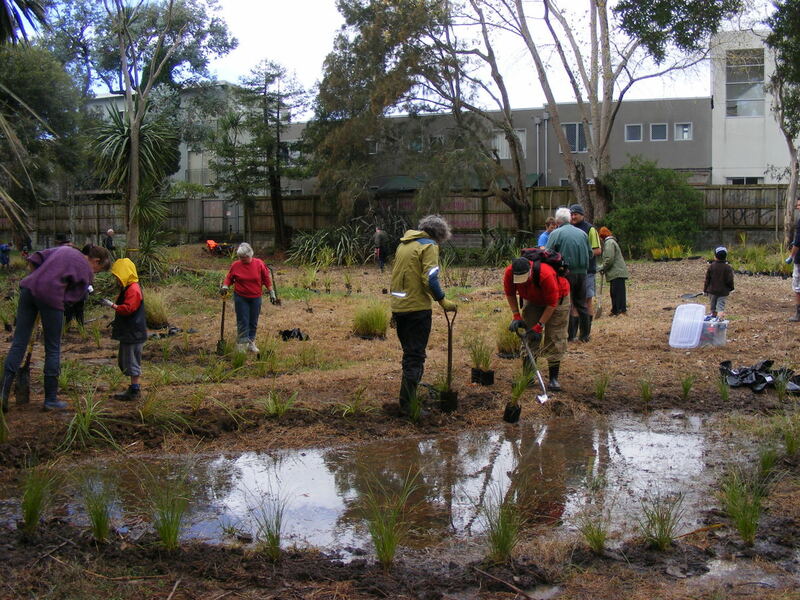 Below is a photo taken by Roy Clements of a wetland community planting.